There’s no question, once we become fully aware of the suffocating web of lies and deceptions, once we gather the courage and demand the truth, this reality will expand radically. So much so that almost everything will change. This will be one fundamental departure. Future generations may refer to this as the new zero point. It might be the most important shift ever, a historical milestone and years will be numbered before and after Full Disclosure. Untold doors will open. Our lives will become unbelievably more exciting. Major opportunities will arise. But first we will be greatly challenged to re-learn, and reframe our understanding in every way imaginable. Almost all we were taught will have to be discarded because it was based on false premises. We will realize how much our reality had been skewed in order to uphold lies and to protect the status quo, so powers-that-were could keep humanity enslaved and controllable. As things are, the majority of people are blatantly unaware of what’s really going on in our world. If full disclosure happened right now, we would see major chaos. Without some preparation, large numbers of people would lose their minds. Everything they had based their existence on would come crashing down. This doesn’t mean full disclosure will be postponed for another one hundred years, by no means! We cannot wait that long, time is running out. Without major changes in the next ten to twenty years humanity will not see the end of this century. 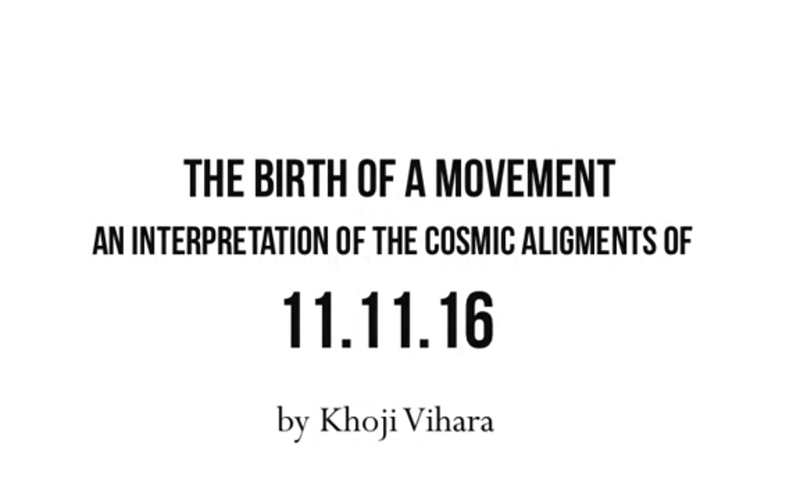 November 11, 2016 is a fractal, a symbol. This chart is calculated for Washington DC, the global hub of power at the 77th degree of Eastern longitude, and clocked for 11:11:11 a.m. EST. The eleven represents Solar consciousness. Every 11 years the Sun’s magnetic field flips its polarity. Research by Alexander Chizhevsky has shown that the 11-year sunspot cycle mirrors big societal changes. The eleven is an awakener, challenging us to integrate what is new so we may find supreme balance. 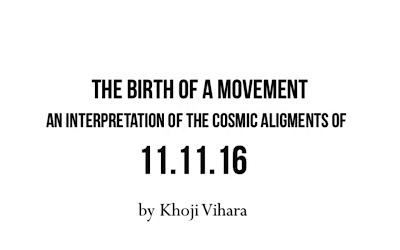 The 11-11 effect is the signature of this synchronicity. It lets us know that everything is consciousness. 11-11 is the serendipitous sign that we’re on track. It’s the confirmation that everything is coming along nicely, that we’re in tune with existence. By November 11, 2016, US elections will be history. However we still might struggle, coming to terms with the outcome. One thing is for certain, true to the Fire Monkey’s character, the 2016 campaign was a wild ride and full of surprises! For one thing, it became pretty clear that things haven’t been going well for the ruling elite. Despite, or maybe even because of the main stream media’s categorical suppression of truth, no one is fully buying into government sponsored propaganda anymore. That said, from what I can see, Donald Trump will be the winner. Born during a Total Lunar eclipse he is the perfect trouble maker. He impersonates the character needed to accelerate the disintegration of this rotten political system. By November 11 we still might be cleaning up shards. There will be disbelief in what just happened, there might even be some turmoil. Looking at the Sun’s close alignment with the Black Moon (Lunar apogee) it could well be that an enormous breach may have opened. Some sort of vacuum where nobody exactly knows what to think or expect anymore. For this reason alone, November 11 might be the perfect day for out-of-this-world information to be disseminated. Information might find fertile soil and therefore gain traction. The Moon is in fiery and impulsive Aries opposing Jupiter and indicates occurrences which could create quite a stir. Mars entered Aquarius two days earlier, on November 9. Aquarius rules the unusual. This may manifest as a point of departure, doors opening to new worlds. And the Aquarian Mars also hints at community initiatives and other social activities. Mars is in Aquarius until December 19. Venus however outshines them all. She’s the prominent evening star and could well hold an important clue of what’s most prominent. In the last and critical degree of Sagittarius, this Venus could indicate considerable stress or some sort of pressure. Diving in further into the micro-structure of this symbolic moment we see Pluto slightly above the Ascendant heralding fundamental change. Just above the horizon, Pluto is in the twelfth house. 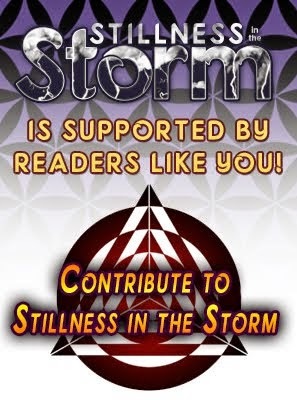 This could indicate huge surprises, something tsunami-like rolling in from the collective unconscious. Capricorn is the rising sign, and just to say, Pluto is in Capricorn since 2008 and will be there into 2023. Many astrologers have suggested that this Pluto transit may indicate a total overhaul of our world’s power structures. Scorpio is ruled by Pluto, and in this chart Scorpio is at the tenth house cusp. This could greatly enlarge Pluto’s transformative impact, even more so as the Sun is in this Capricornian tenth house and conjunct the Black Moon (Lunar apogee), hinting at disclosure of all kinds of dark and difficult material. The fact that asteroids Hygeia (health, wellbeing) and Astrea (facing difficulties, cleaning up) are close to the Sun too may give hope. Jupiter, the great benefice, is in house nine in accidental honor, indicating that this all may lead to the revelation of higher knowledge inducing a spiritual revolution. Additionally to Pluto’s commanding influence, Scorpio’s traditional ruler Mars is in the first house too. Just having entered Aquarius, Mars is the planet of lowest degree and thus the natural leader. This speaks of a very strong drive in service of the greater good. Meanwhile the pioneering Aries Moon is approaching fullness. Right at the third house cusp this Moon shows determination to break secrets open and reveal all kinds of controversial and revolutionary ideas (Uranus, Eris and Ceres are in Aries too). And last but not least, the intercepted Virgo Lunar North node in the eighth house indicates that the core theme of this chart is regeneration and rebirth. Both Scorpio and Pluto rule the eighth house. This endeavour is absolutely radical, a total metamorphosis. Before a new house can be built the old one has to be completely taken down. Between 2011 and 2026, Neptune is the most powerful player. Neptune is the outermost of the giant planets, residing at the edge of infinity. Named after the god of the sea, Neptune is the guardian of the unsolvable enigma. As final major outpost of our Solar system, Neptune channels the mystery. Anything and everything that is not from this world; be it other dimensions, overlaying multiple realities, less dense states of matter, ghosts, spirits and extra-dimensionals are in Neptune’s domain. Neptune is very difficult to grasp. He’s known for his capacity to take on any form and personify any character. This feat manifests in its almost perfectly circular orbit, literally making it close to impossible to tell what directions/principles he’s basing his perspectives on. Every other planet (except the Moon which is a story on its own) has its clear preferences, staking out to what it is strongest or least attracted to by where it’s closest/farthest from the Sun. In Neptune’s case however, it’s the Sun with its wobble, the Sun which gets pushed and shoved around by the Solar system’s gravitational center which defines where Neptune will appear to be closest or farthest from our star. Just to make this really clear, it’s not Neptune who’s deciding where to be closest/farthest from the Sun, it’s rather the Sun – channeling the sum total of all the planets – which makes Neptune appear farther or closer and thus giving the appearance that the enigmatic blue planet would change inclinations, roles and costumes. The big cosmic joke however is that within all its apparent multiple personalities, Neptune really is the consistent one. It’s the sum total of the Solar system’s mass causing the Sun to wobble, which just makes it look like Neptune would be the inconsistent one. It takes Neptune 165 Earth years to revolve around the Sun. Since 2011, and all the way into 2026, Neptune is in the Tropical sign of Pisces, which happens to be Neptune’s home sign. A synergy is generated, all endeavors involving inspiration, dreams, psychic receptivity, illusion, confusion, spirituality, oneness, and all things subtle and out-of-this-world are at center stage for these fifteen years. It has been more than 150 years since Neptune last occupied its own sign. And after 2026 it will be another 150 years for veils between worlds to become that transparent again. Neptune entered Pisces in 2011. And in November 2015, when the Moon’s South node entered Pisces as well, Neptunian themes began popping up everywhere. The Moon’s path is slightly inclined against the Sun-Earth plane. The intersection points where the Sun and Moon’s energies are coming together form this most dynamic nodal axis, indicating what’s there in abundance and where this energy is about to evolve and transform towards. In a nutshell, the nodal axis is the propelling force behind the evolution of consciousness. For the coming months into May 2017 the veils between worlds remain very thin. There’s strong resonance with spirit worlds; we may have to deal with issues arising from the collective as well as our personal unconscious. Dreams may be vivid and synchronicities a day-to-day occurrence. As the invisible is phasing in and becoming more tangible we will understand, integrate and heal. Worlds will be brought together and practical solutions will arise. The last time Lunar nodes were in these same signs (Virgo/Pisces) was from May 1997 through October 1998. Back then Earth’s axis was aligned with the Galactic equator. A fresh 26,000-year precession cycle was ignited. And on a side note, just to illustrate how everything is interconnected, it’s a very special sign of our times that Cosmic Disclosure has been dramatically taking off, that Gaia meanwhile has more viewers than CNN. You might find it remarkable that both Corey Goode and David Wilcock have their Suns in Pisces . . . When we wake up to our life’s true mission, we then become midwives to the birth. The better job we do, the smoother and more organic this transition will be. There will be no overnight results. This process is like growing a tree. Patience is the key. And along the road we may realize how important it is to invest in our personal spiritual growth. When we realize that everything happens for a reason forgiving becomes easy. Courage arises; an open heart knows no fear. Seasons will change. But intuitively we know that everything is as perfect as it can be and that all is exactly on track. There are no straight lines in nature. Everything is meandering. Sometimes the river flows North and sometimes South. However each river eventually finds the ocean. We are an intrinsic part of nature, we’re destined to find the ocean. Only our minds struggle, due to their conditioning of thinking in straight lines. The more we allow going with the flow we will know that we’re in the right place at the exact right time! In deep relaxation serendipity is shining through. I’m extremely hopeful for our future. Just engage in a past review and you will realize how much collective consciousness has expanded over the last few generations alone, despite, or maybe just because of numerous tragedies and challenges. For example, after WW2 and the Hiroshima/Nagasaki bombings, war lost its aura of glory. Women’s rights are another big issue and we have come long way. The irony is that men will find liberation only when women are allowed to fully express themselves and be in charge of their lives. A further example is the rise of the internet. 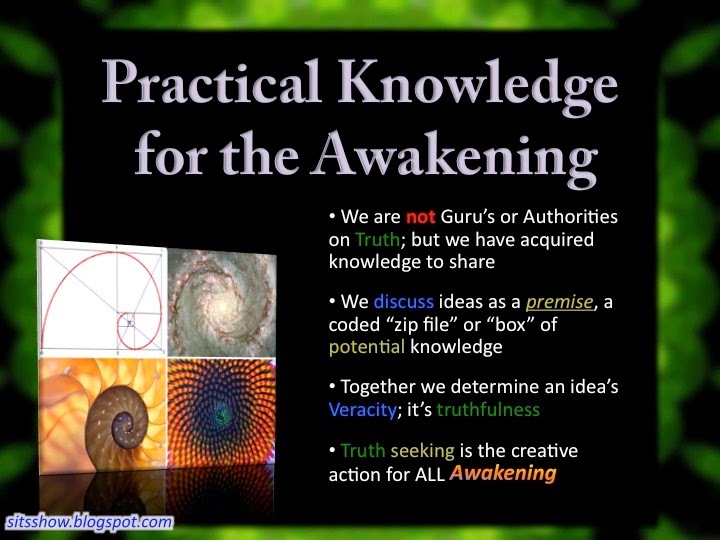 Not only has this virtual pool shrunk Earth down to the size of a village, all accumulated knowledge is now right at our fingertips, potentially granting every human being access to the overarching collective mind, heart and soul. And one last peculiar attribute of these exceptional times is the sheer number of souls that have gathered to join the party. Deep down we all know that we’ve come here for a reason. Just being alive during this exceptional expansion of consciousness and the consequent quantum leap is an amazing blessing. After having covered the past you might be curious what’s coming next. When will disclosure come full circle? And, when can we expect the Event to take place? Every 20 years the two largest hands on the cosmic clock, Jupiter and Saturn, come to meet. It has long been discovered that these two giant planets’ cycle largely mirrors Earth’s economic and societal changes. It so happens that for two centuries in a row Jupiter and Saturn meet in the same element. Since the early 1800s their conjunctions were in the earth element, in Capricorn, Taurus and Virgo. This comes as no surprise when we take in account the extreme materialism, greed and disregard of higher principles predominant in our present time and age. We are in an interesting fix, because just a few decades ago things were much better. It was in 1980 when for the first time in eight centuries Jupiter and Saturn came to meet in an air sign, in cardinal Libra. If you’re old enough to consciously remember these last two decades of the twentieth century you will agree, this was a time of amazing hope and tremendous idealism. Nothing seemed unsolvable and anything possible. It seemed like being only a matter of time for solutions to each and every problem to arrive. But then in May 2000, Jupiter and Saturn found themselves back in earth, and not just that but in the most difficult of all the three earth signs, in fixed Taurus where things tend to get cemented and stagnant for the sheer conservation of status and achieved laurels. For those able to read the writing on the wall it was abundantly clear that these coming twenty years would be quite a step back into the jungle. In line with all natural processes, after two steps forward we would take one step backwards. In order to fully be ready for the new humanity, we had to go back into heaviness one more time, experiencing material density and stagnation in all its extremes. 9/11 was the perfect manifestation of this. And so was the 2008 financial and economic meltdown, as well as growing threats of radiation, pollution and climate change which are cornering us, demanding that we look for renewable and sustainable solutions. Furthermore, it is very telling that Jupiter and Saturn’s year 2000 seed event took place in the 23rd degree of Taurus, in the ominous hexagram #23, ‘COLLAPSE’, which depicts the roof of a house caving in. The good thing is we’re more than three quarters through this highly challenging cycle. 2015 marked the waning half moon point which initiated the fourth and final quarter, the phase of ‘reorientation’. Now let’s have look ahead. By December 21, 2020, Jupiter/Saturn will have their next meeting. There are multiple signs that this will be a most amazing landmark. Not only will we finally be done with looking into the rear-view mirror revisiting the past with all the implied heaviness, but this coming conjunction will truly mark the turn of the tides. On December 21, 2020, Jupiter will meet Saturn in the highly exciting first degree of Aquarius, while the Sun will be at the powerful zero degree Capricorn winter solstice point. This will be the moment when we will start seeing the light at the end of the tunnel. Even though the final breakthrough might take another six years to fully materialize, from 2021 onwards we can expect developments to speed up immensely. Also, planet Uranus which now is in Aries (2011-2018) will by then have arrived in Taurus (2018-2025). Most likely from then on we will see free energy devices and all other types of advanced technologies entering the manufacturing phase. Without Saturn’s help, Neptune’s elusive realities wouldn’t be able to touch down and express themselves in our world. Saturn adds the gravity and gives the necessary body and form. Neptune was discovered in 1846, after several near misses, one of them being Galileo Galilei observing a rare Jupiter/ Neptune occultation in 1609, assuming Neptune to be a fixed star. In 1846 this cosmic messenger was closely aligned with Saturn. And the man who discovered it, astronomer Le Verrier’s assistant, was named D’Arret, meaning arrest. Neptune literally needed to get captured and nailed down in order to reveal itself. Neptune’s high frequency cannot take on form without Saturn’s assistance. Saturn and Neptune’s present cycle began in 1989 when they met in Saturn’s sign of Capricorn. It so happens that we’ve also reached the waning half-moon point of this cycle which will take us into the year 2026. Therefore both of these important cycles are in their fourth and final stage, the phase of ‘reorientation’ which preceded new beginnings. In Jupiter and Saturn’s case this phase is five years long, in Neptune and Saturn’s case this phase will take ten years to complete. Neptune and Saturn’s upcoming cycle will begin in 2026. The two planets will be conjoining at the ignition point of zero degree Aries, which is the very first degree of the Tropical zodiac! This totally falls in line and reinforces the vigorous impulse the 2020 Jupiter and Saturn zero degree Aquarius conjunction. This rare cluster of new beginnings could well be a sign that we’re approaching an exceptional threshold. After some additional research into heliocentric astrology I’ve come to the conviction that 2026 most likely will be the year when the Sun will be emanating a series of powerful energetic blasts in a pulsing manner. Ra Tear-Eir had sent this visualization to Corey Goode, confirming something David Wilcock had been talking about. David Wilcock had spoken of ‘Ekpyrosis’, a phenomenon reported in ancient Greek texts, and which is said to be an enormous solar flash that occurs at the end of every Great cycle of 25,000 years. Wilcock said it and now this was confirmed by Tear-Eir; we’ve come to the end of such a large cycle and this Solar burst will be the harbinger to our Ascension process. This 11/11 @ 11:11 in the has-been state of Washington DC is our first great marker the unfolding described and the loud clarion call for FULL DISCLOSURE NOW!!! Victory to the Light!